How do I move Windows 10, 8.1 on SSD? Windows 10, 8.1 on SSD: what you need to know? Have you been wondering if you can migrate your Windows 10, 8.1 operating system from a regular hard drive to an SSD? Well, the answer is yes, you can switch very easily to an SSD drive but you have to keep some things in mind like if your SSD drive has enough space on it to support your Windows 10, 8.1 operating system and the whole programs you have stacked in the Program Files of your Windows 8.1 system. You can easily check how much space your Windows 10, 8.1 system takes by right-clicking the partition where you have the Windows and selecting properties. After that, you will know the space you need to have on your SSD drive in order to properly migrate your Windows 10, 8.1 over and the programs you have installed in the system. You can follow the tutorial below for a quick understanding of how to migrate your Windows 10, 8.1 to SSD. Well the SSD has a lot more advantages than the regular hard drive, the most important advantage is the speed at which it operates. The only disadvantage so far is the price seeing that these SSD’s cost a bit more than the regular drives. First, you will need a USB to SATA adapter. Second, a thing you will need is a software capable of cloning your operating system. You can download this software by accessing the link below (this software supports Windows 10, 8.1 and 8). Update: We recommend using Paragon Software to transfer your Windows OS to SSD. Please note that Migrate OS is now available as part of Drive Copy Advanced, which is a component of Hard Disk Manager for Windows. First backup your whole Windows 10, 8.1 system or the programs you have installed on it by copying them to an external hard drive. If any system error occurs during the migration it would be very good to have a copy of the original Windows 10, 8.1 somewhere. Note: For a system backup you can use either “Ghost” program or “Acronis”. Both programs work fine for Windows 10, 8.1. 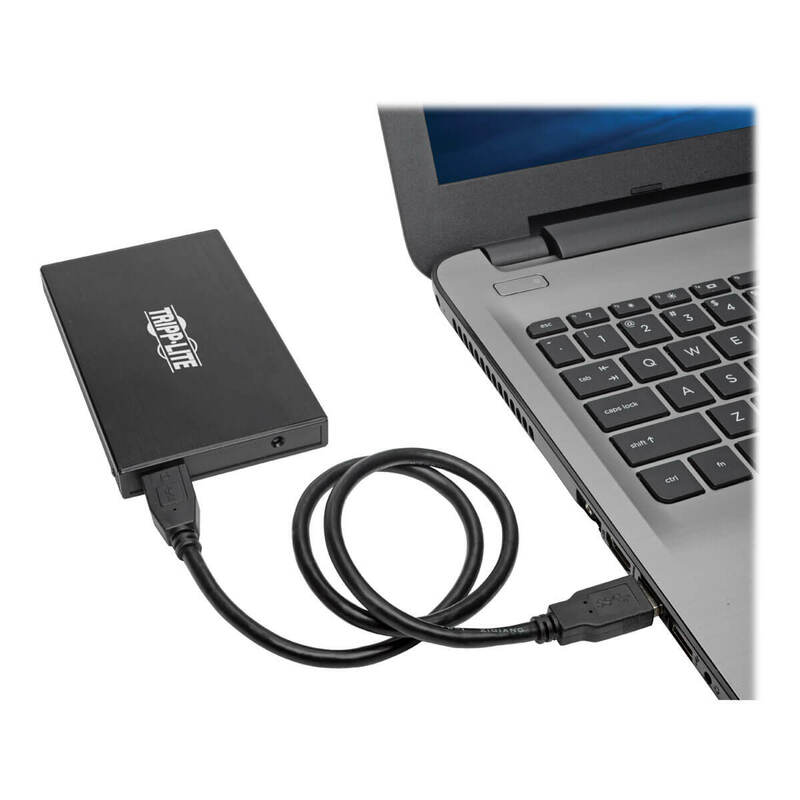 Connect the SSD drive via the USB to SATA adapter to your laptop or to the PC. Note: If you have a Windows 10, 8.1 laptop or PC, you have to plug it in the power socket to prevent any power downs during the migration. Now if you have installed Paragon program from the link above double click on the executable of the app. Left click on “Clone” feature in the Paragon program. Note: The HDD should be the one you have the Windows 8.1 installed. Now the next thing is to select the “Destination disk:” which will be the SSD drive you have connected. In the lower left corner of the “Disk/Partition clone” window, you need to check the box next to “Optimize for SSD”. Left click on “Proceed” button in the lower right side of the “Disk/Partition clone” window to start the cloning process. When the cloning is finished you can close the program and shut down the Windows 8.1 PC or laptop. After the shutdown is completed you can unplug to old HDD you were using and plug in the new SSD drive. Now after your Windows 8.1 starts you will need to type in the start screen “Command”. A search should pop up for command prompt. Left click on it to open the feature. After the command prompt window is opened type In there “fsutil behavior query disabledeletenotify” without the quotes and press “Enter”. If you get a “0” as a return value then your SSD drive should work good, if you do not get a “0” value then do the steps below. “fsutil behavior set disabledeletenotify 0” without the quotes and press “Enter” on the keyboard. Now write the following command: “fsutil behavior query disabledeletenotify” and press ‘Enter”. You should now get a “0” value. Note: The commands we have put in the “Command Prompt” window allows you to verify if TRIM feature is set to enable. Also, we will need to check if Windows 8.1 recognizes the SSD Media by typing in the start screen of Windows 10, 8.1 the word “Optimize”. Left click on the icon “Defragment and optimize your drives”. Now in the window that opened you will need to check if your SSD drive is recognized as a “Solid State Drive”. If it isn’t recognized as a “Solid State Drive” then do another reboot of the system and check again the status. Having an SSD might be a blessing, especially when it comes to operating data very quick and segmenting the sectors of your disks. Windows 10 can be installed on Intel SSD PCs without any issues and it works well after installing. If you cannot perform this action, you can check our guide that helps you when Windows 10 is not installing on SSD. If it is installed and starts, but is doing it slowly, check our article on how to fix Windows 10 slow boot on SSD. So here it is, you now know how to migrate your Windows 8.1 operating system to a brand new SSD. For any questions on this article write us below in the comments sections and we will reply as soon as possible. Editor’s Note: This post was originally published in September 2014 and has been since revamped and updated for freshness, accuracy, and comprehensiveness. We want to make sure we provide the best software solutions for our readers.